Achieve fine, medium and bold brush strokes just by changing the pressure to the nib, the durable tip will spring back to it's natural shape.stroke after stroke. The dye based ink is blendable to create a large range of colours and hues, the compact plastic case is perfect for artist's on the go. 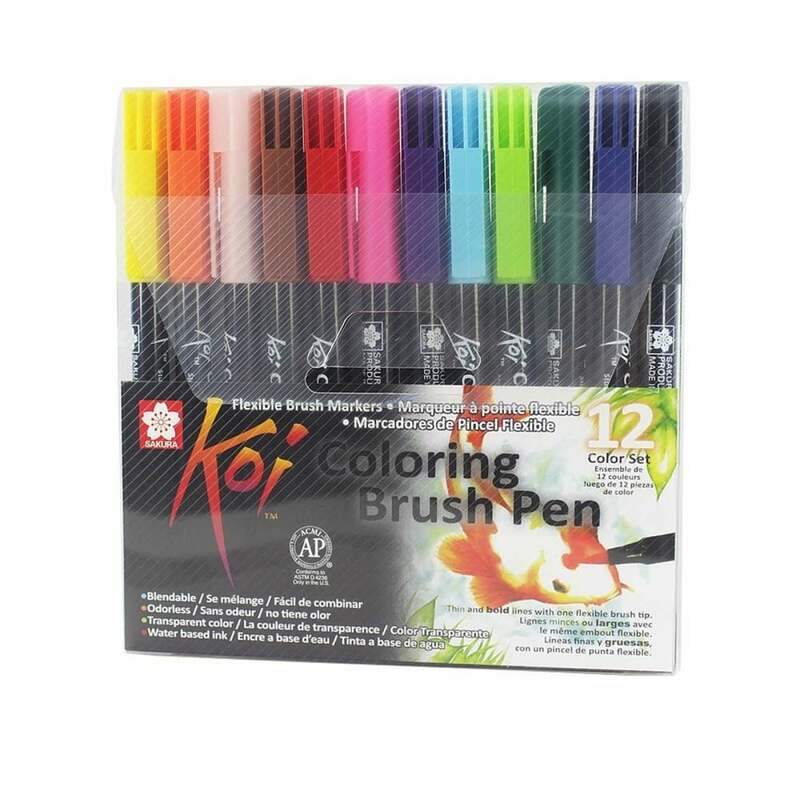 These brush pens are odourless, waterbased transparent colour. A bit about the brand: Sakura of America is dedicated to the development and efficient delivery of technologically superior, innovative and safe products - supplying great quality pens for all artists or any ability.